HotelEngine (HE) is the latest theme from EngineThemes. Its full setup requires some plug-ins that you need to activate before configuring your HotelEngine theme. For guides on how to download your HE files and install it on WordPress, visit our Help section. 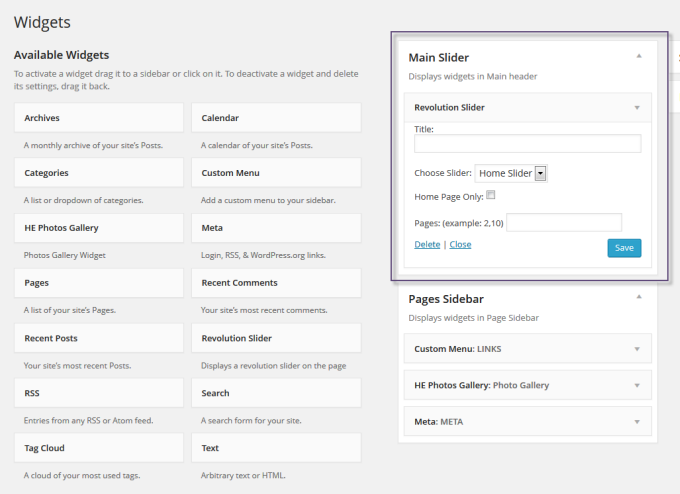 This plugin enables you to show all your sliders in the homepage or any sidebars of your site. It supports a lot of animations to make your site more attractive. 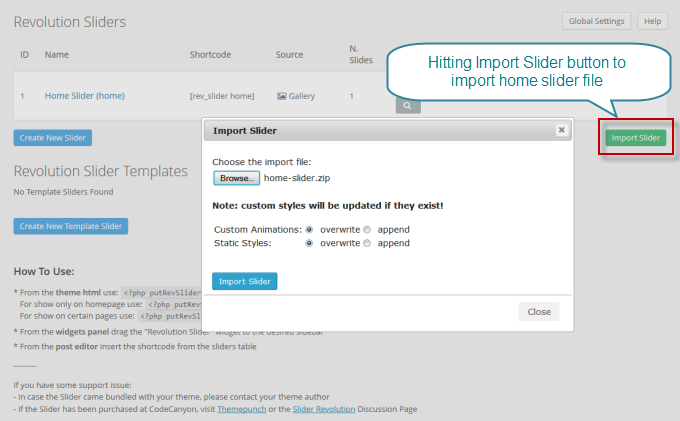 - Go to Revolution Slider tab next to Settings tab and locate “Import Slider” button on the top right of the page. - Import HE Comfy or HE Classy Home Slider exported file. - A home-slider (home-slider) is created in your slider’s list and you can modify it anytime to suit your site. Your home slider is displayed in your Comfy or Classy theme right after the import process. Place the Revolution slider widget in the “ Main Slider sidebar” to show the slider in your homepage. This plugin enables you to rearrange all components in your homepage without touching HotelEngine CSS. It is very convenient if you wish to create a new page template as well. After you have finished installing all the required plugins, visit Engine Settings > HE Wizard to start setting up your HotelEngine theme. Sample data can be inserted in this step. Just a click on “ Insert sample data” button, you can set up your site just like our Classy or Comfy demo site. 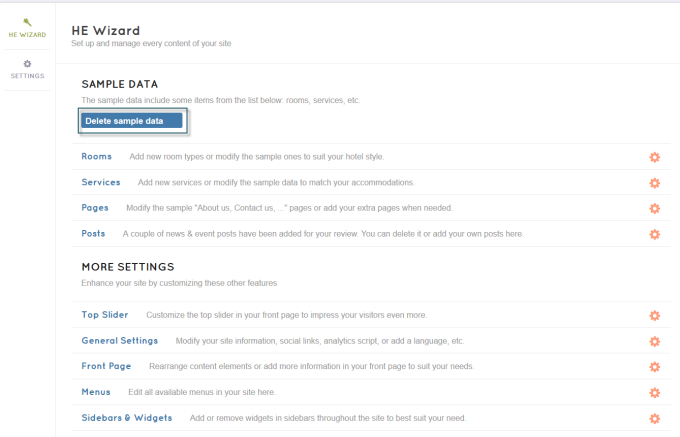 To add or modify the list of rooms, services, pages and posts, click the cog icon on the right of each field. 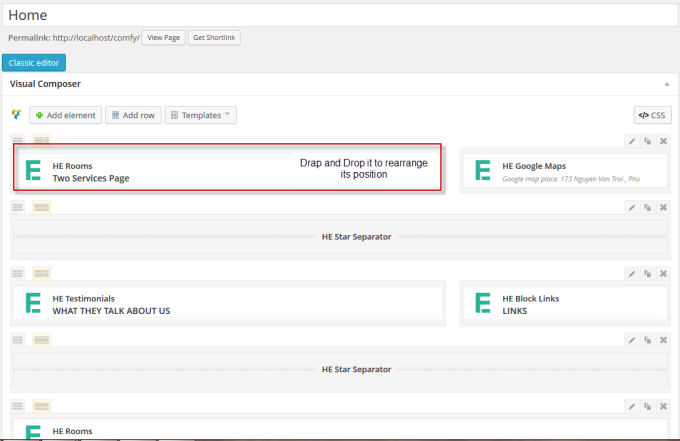 Run through this HE Wizard page to learn more how to manage your site.